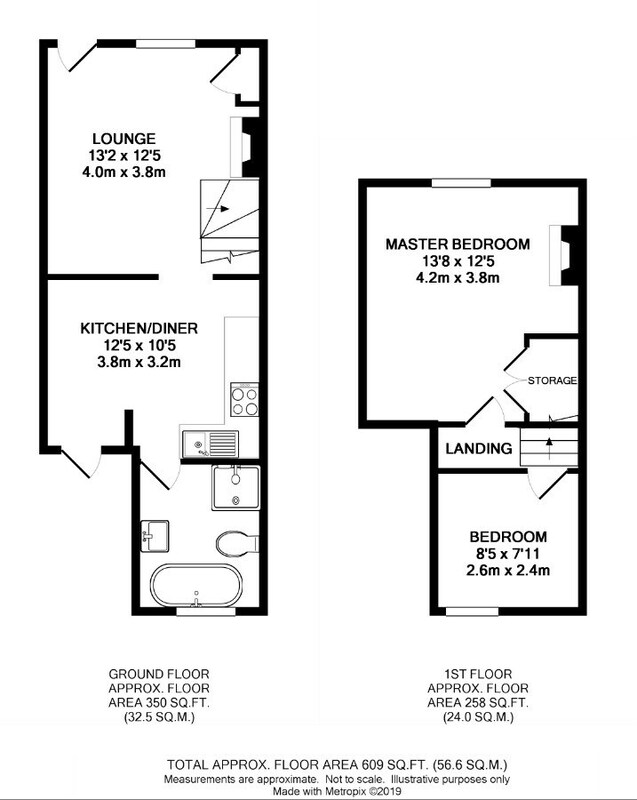 This is a great opportunity for the first time buyer or buy to let investor. We are delighted to present tot he market this two bedroom terraced home which the current owners have been very happy with and have made it into a really lovely home!! With a bespoke kitchen/diner fitted with a variety of units, lounge with a feature Victorian open fire, modern fitted bathroom with roll top bath, separate shower, W.C, wash hand basin set in a vanity unit. Upstairs there are two bedrooms master with Victorian style fire surround. Externally the rear garden is of a good size, mainly laid to lawn making it and enjoyable space to enjoy the coming summer months. With the benefit of being close to the town centre plus local shops and schools. We highly recommend you contact the Greyfox Sales Team to book your viewing and avoid disappointment.